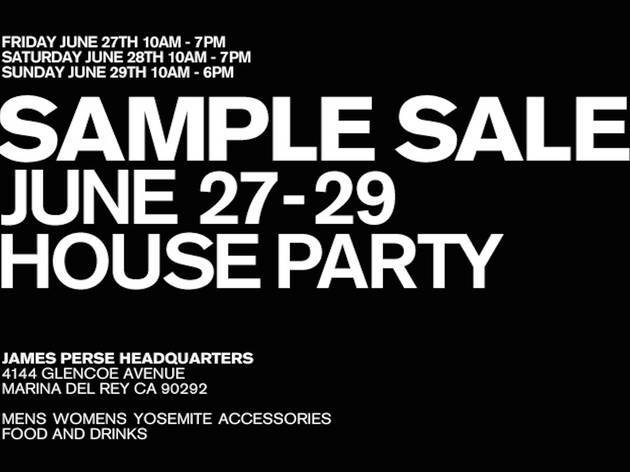 This three-day sample sale is more like a house party where you can drink, eat and shop. 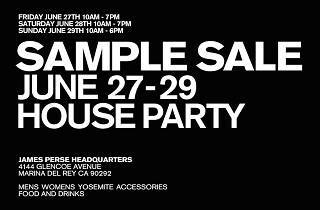 Fancy pants (and uber soft) minimalist clothing brand, James Perse, is throwing a summer sample sale soiree this weekend. Stock up on closet essentials for men and women, while enjoying the food and drinks on hand. The brand's sister label, Yosemite, will also be on sale in addition to clothing and accessories at 50-75% off at the James Perse Headquaters (4144 Glencoe Avenue) in Marina Del Rey.